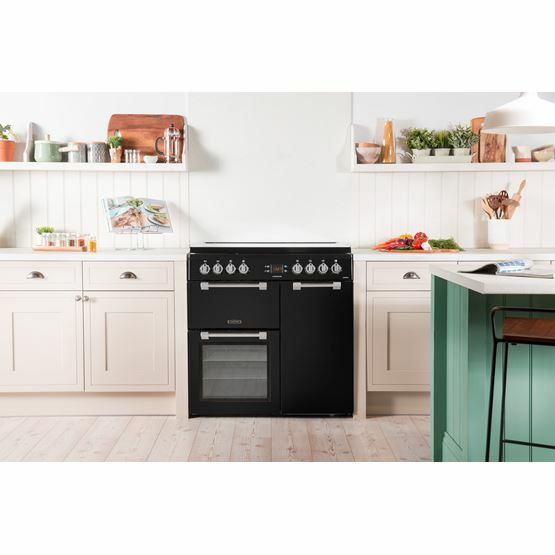 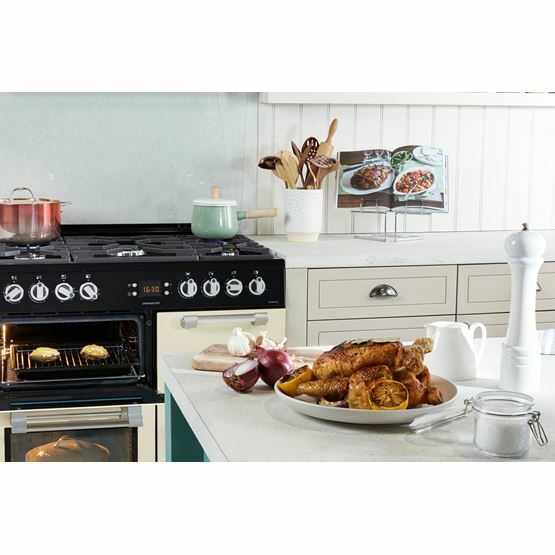 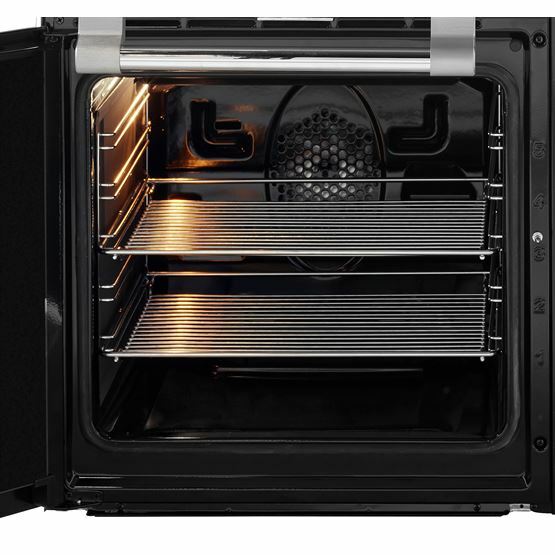 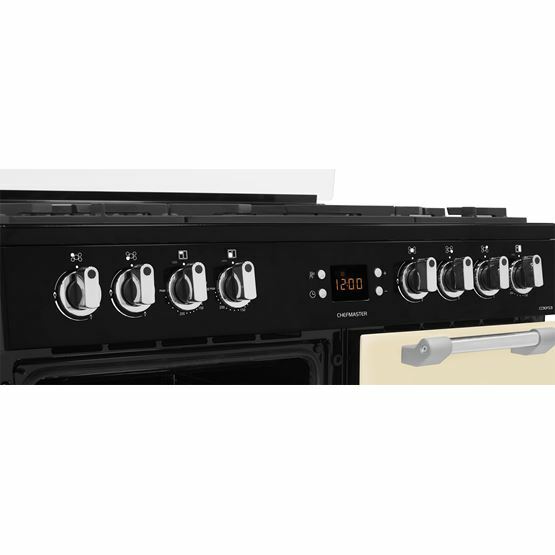 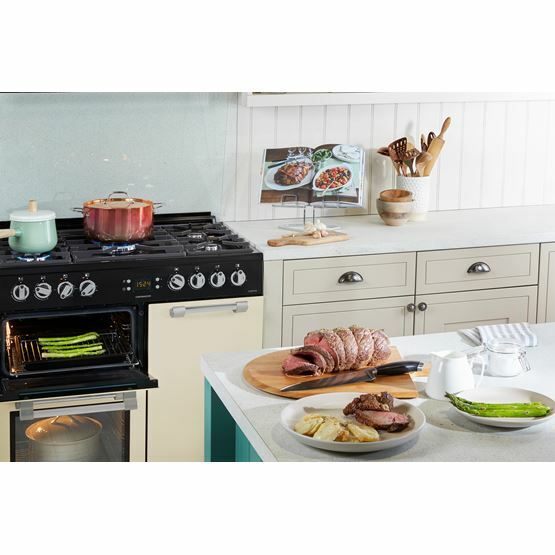 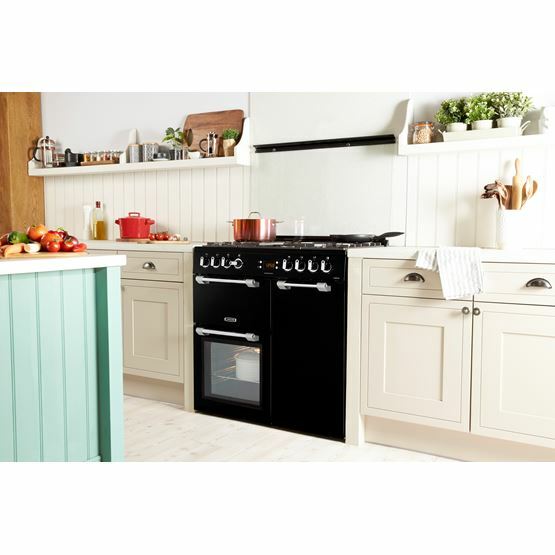 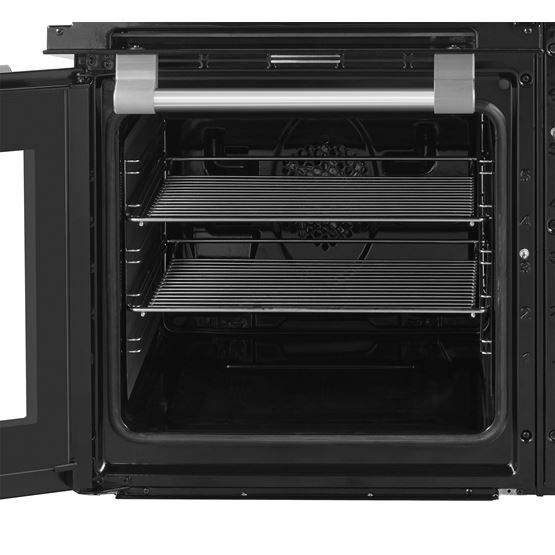 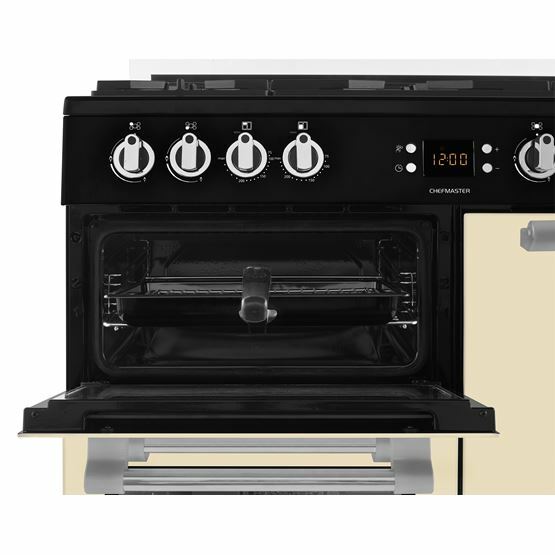 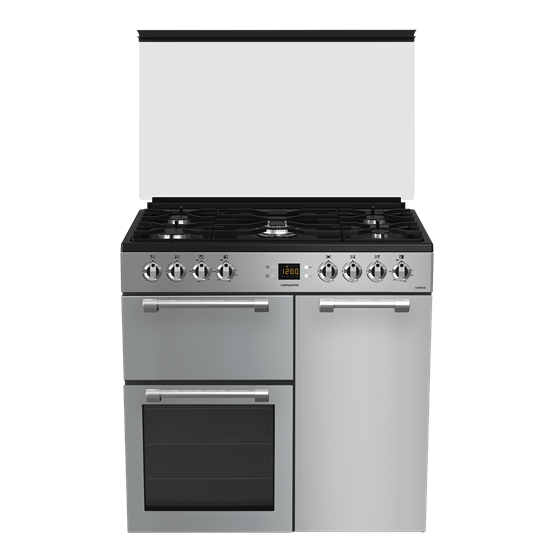 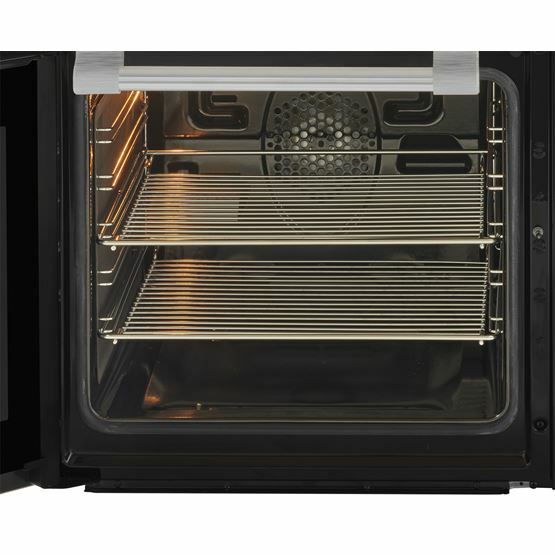 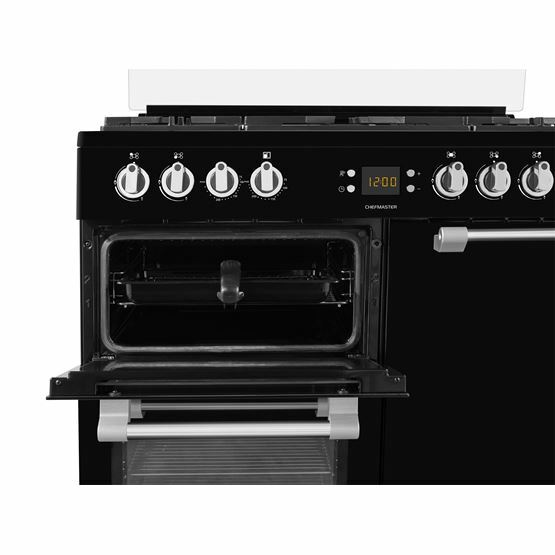 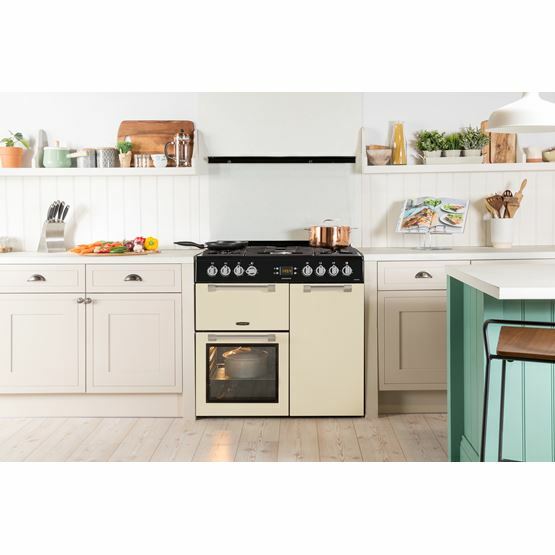 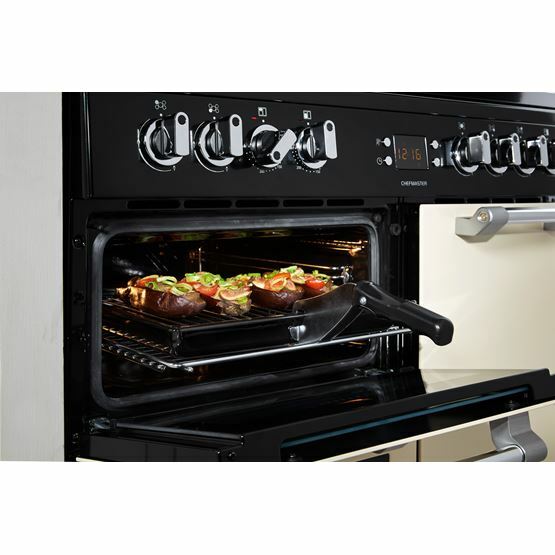 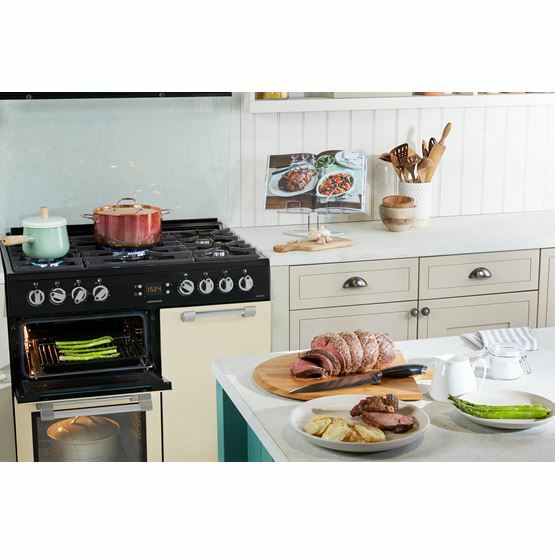 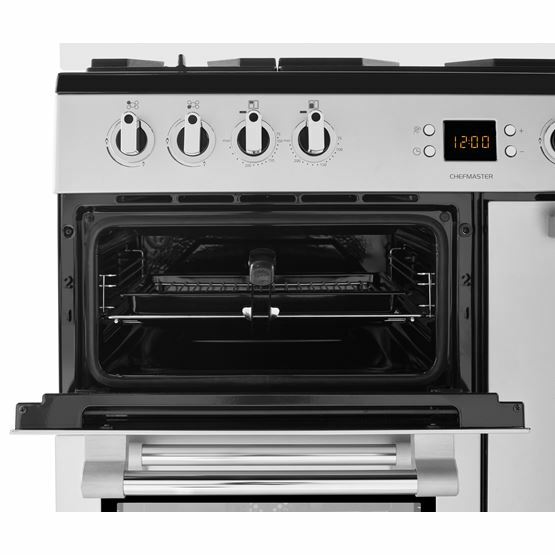 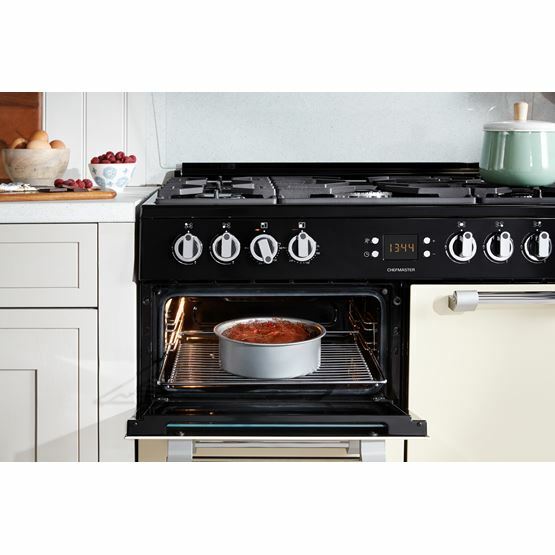 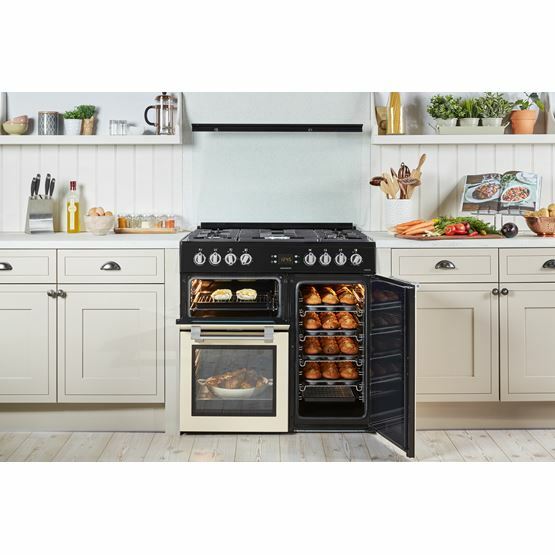 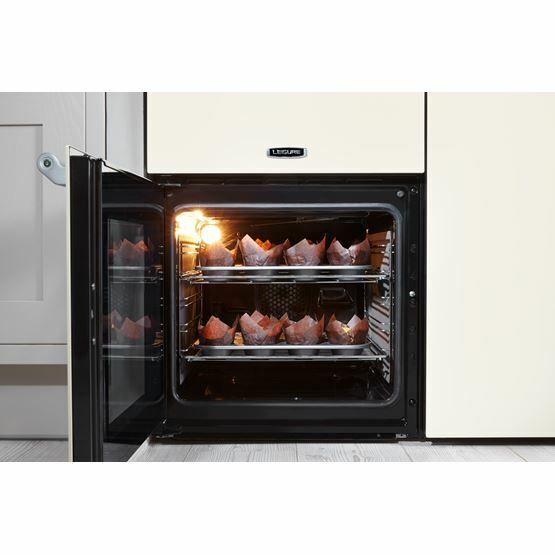 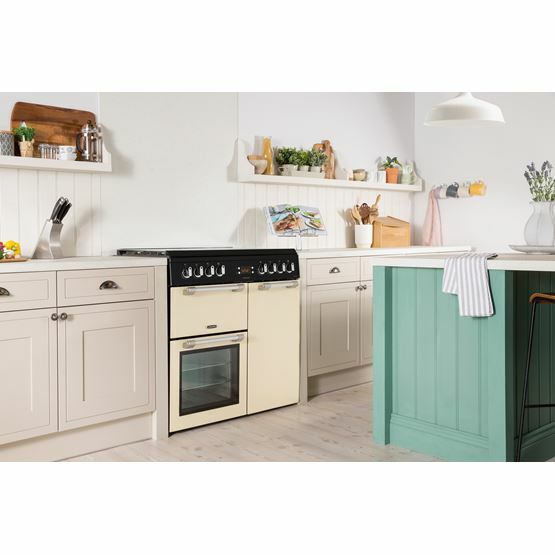 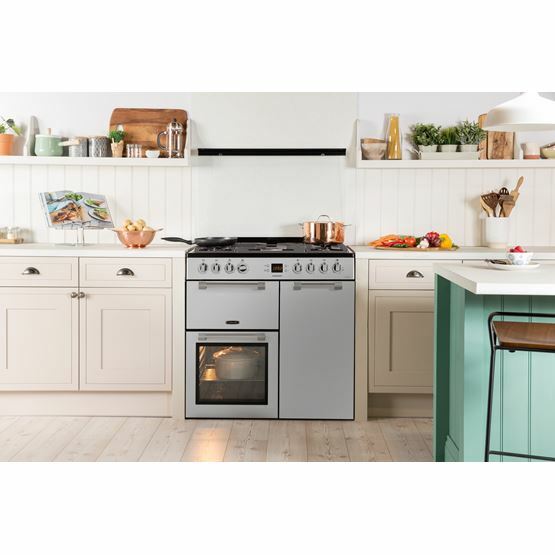 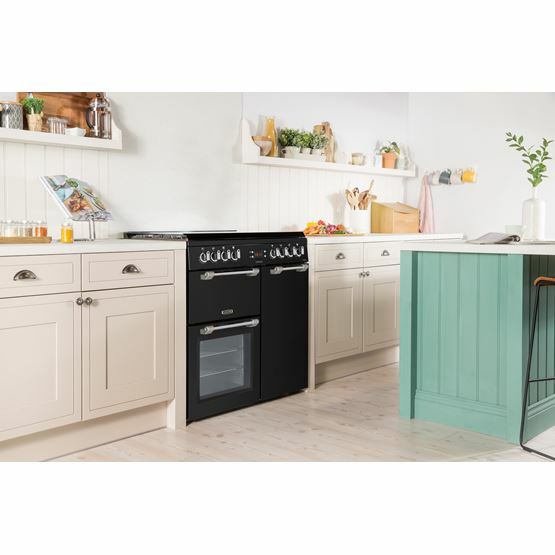 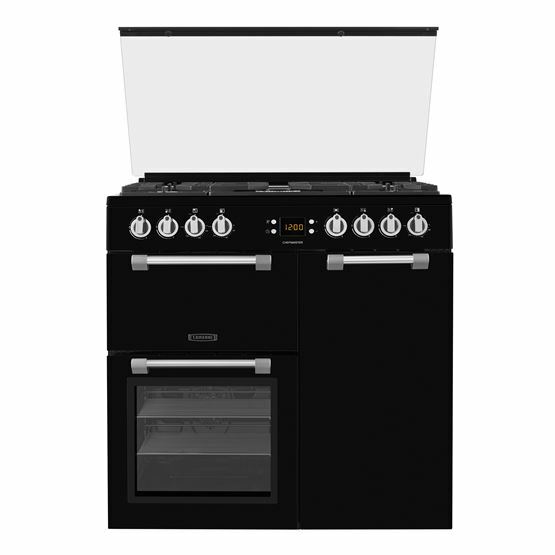 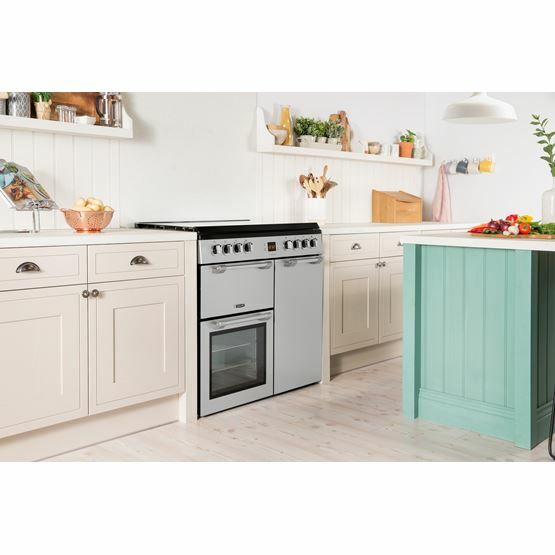 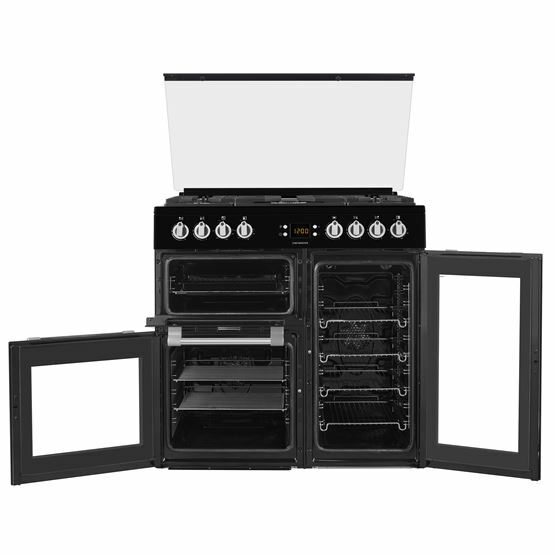 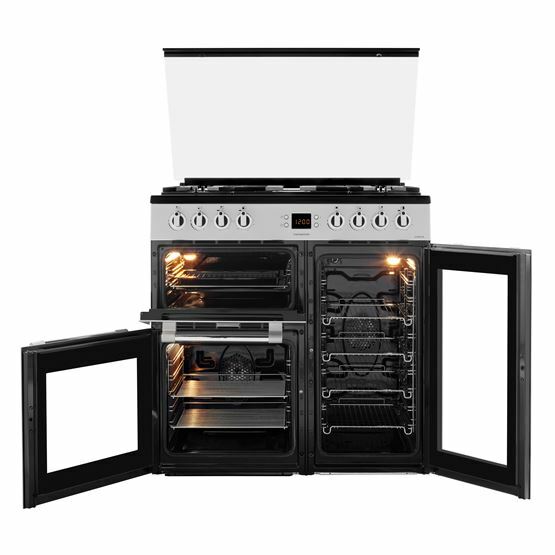 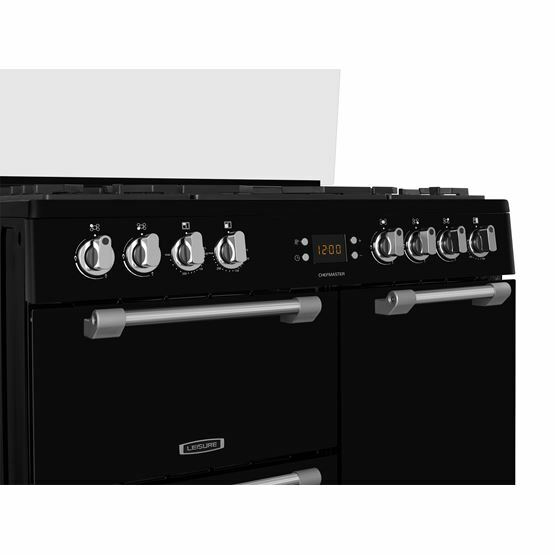 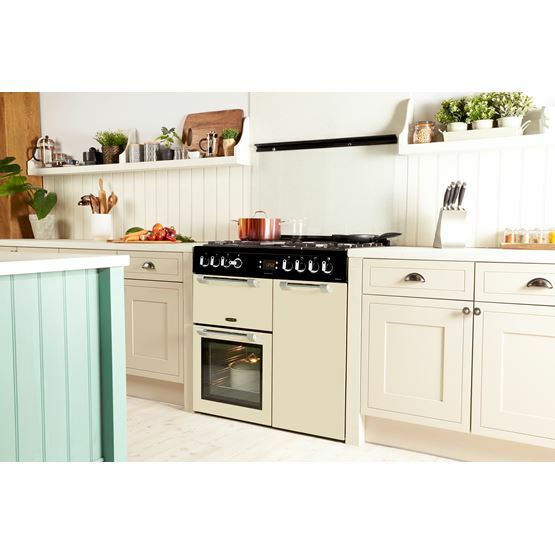 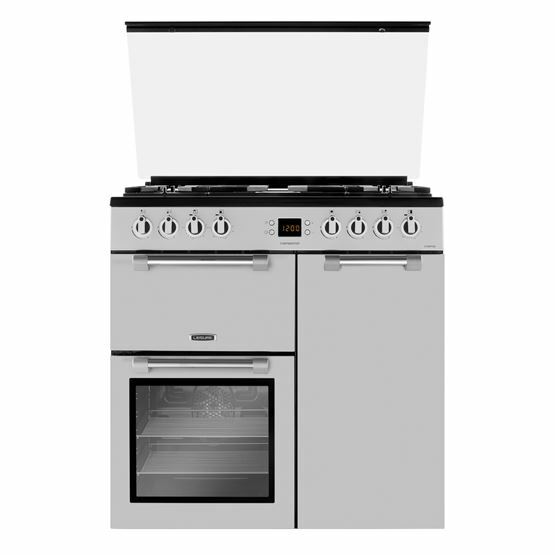 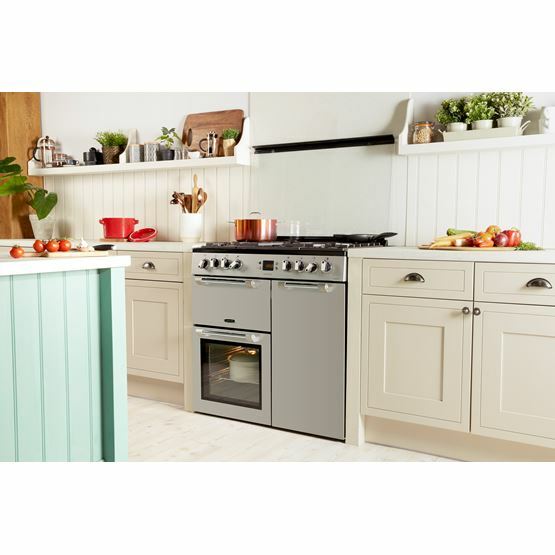 Feature-rich and satisfyingly simple to cook with, this Chefmaster range cooker's three ovens and dedicated grill make any recipe easy to master. 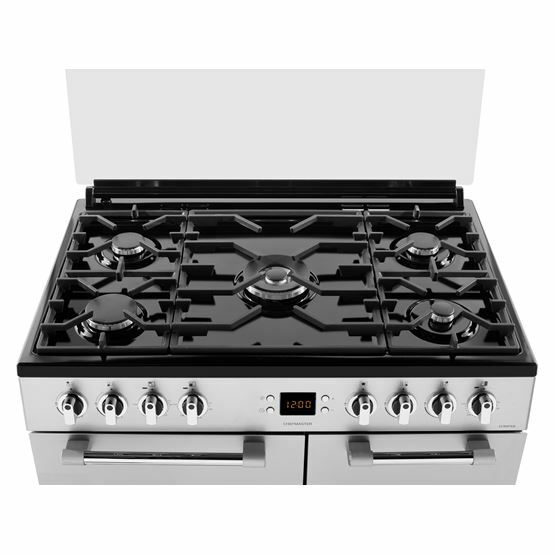 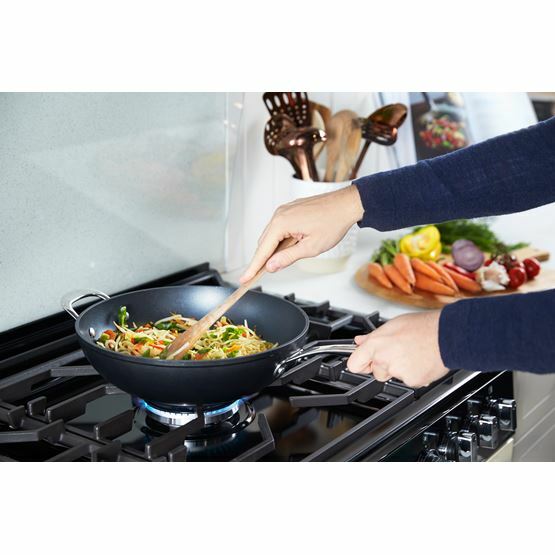 Its traditional five burner gas hob is complemented by a powerful wok burner - perfect for whipping up tasty stir-fries. 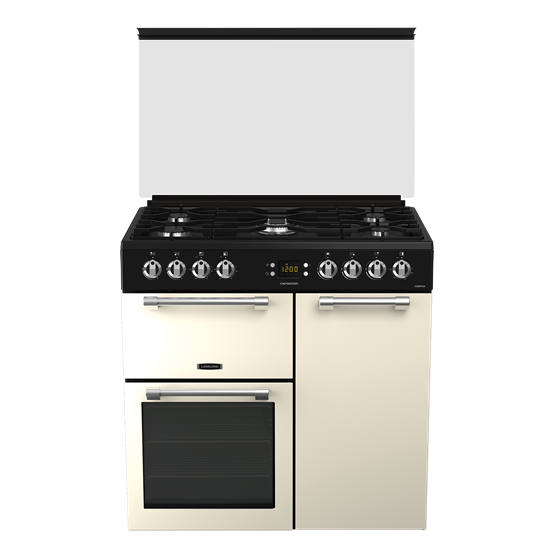 And, the stylish integrated glass cover can be used as a splashback to keep your kitchen clean, or can be closed to create a seamless look. 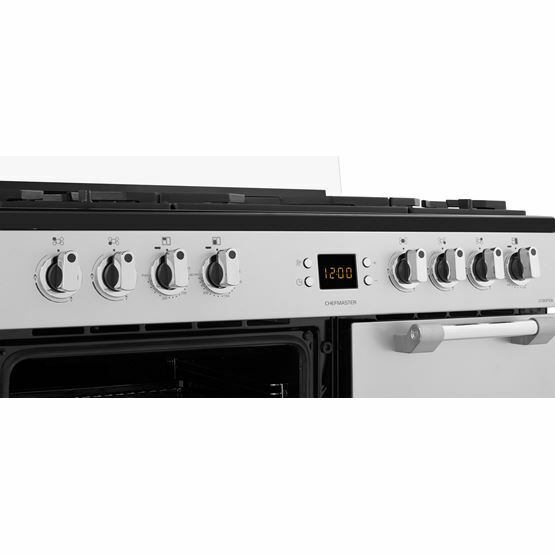 Bad Points: Control knobs whilst looking chunky and solid are a bit plasticy and dont feel as if they will take a lot of wear. 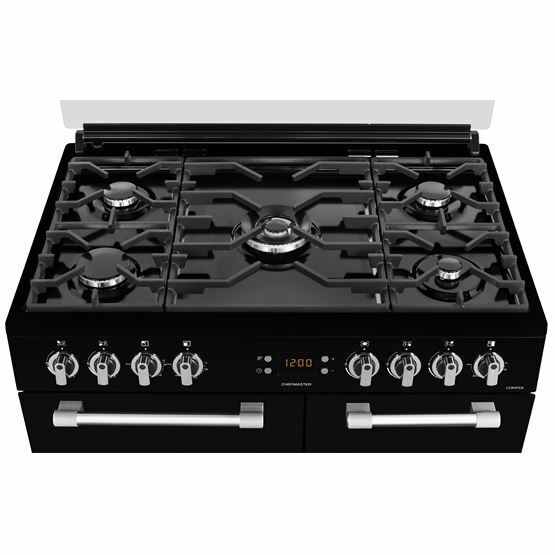 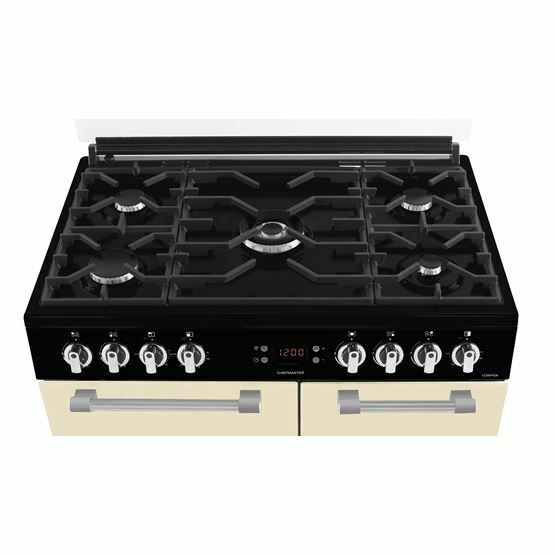 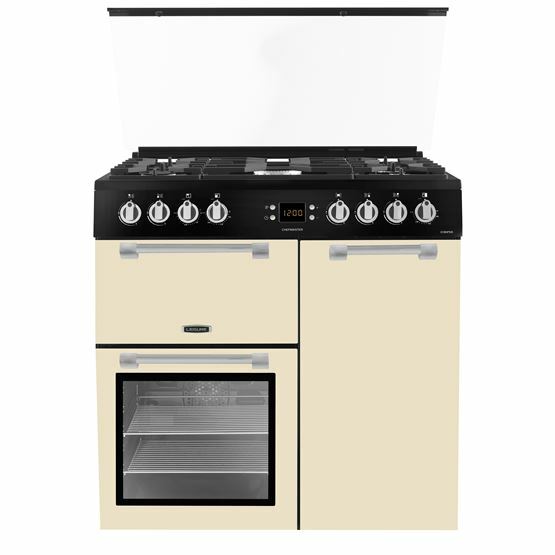 Good Points: Fans in all ovens, easy clean hob, glass lid - it's a big improvement on the Rangemaster and a third of the price. 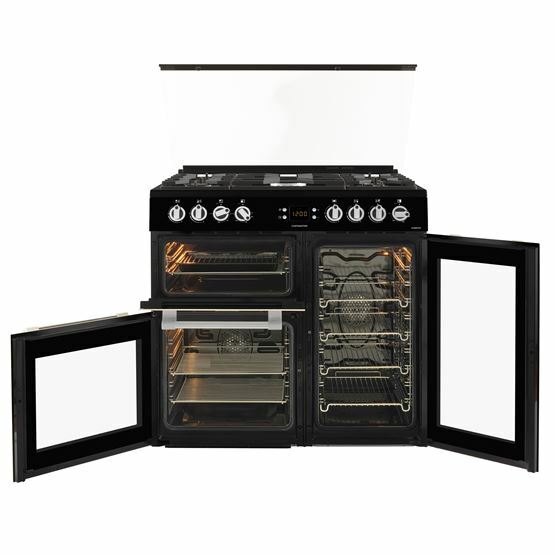 Rangemaster don't do the glass lids any more either. 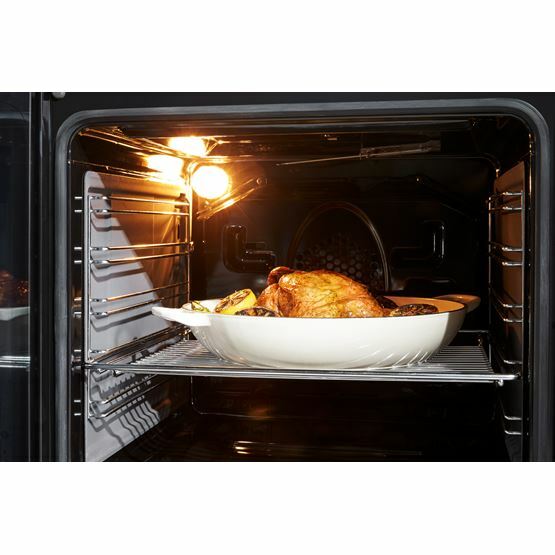 Bad Points: Could do with glass in the right hand oven door but really it's a minor point.